Looking for fresh apps for your iDevice? We’ve found 80 great iPhone and iPad apps that were released over the last 24 hours. 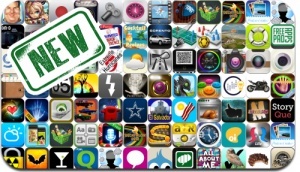 This new apps alert includes Retro Decathlon 2012, Rhythm Repeat, Pearl Heroes, Dragon Village, Retro Car Builder 3D, StoryQue Magazine, Camera Plus, Appture, RecNow, Translator for All, and many others.